Here at Petland Mall of Georgia in Georgia, we pride ourselves on being the most knowledgeable about matching the right puppies with the right family and making sure everyone has exactly what they need to be happy and healthy! 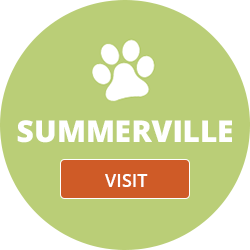 We are a family owned and operated pet store that has been in Mall of Georgia, GA for almost two decades. We also strive to make sure every family that goes home with a new puppy is happily armed with all the housebreaking and teething training they need to get their puppy through the first few months with no problem at all! The Petland name is synonymous with an excellent quality of care and it only makes sense that Petland Mall of Georgia is the cream of the crop! We will continue to be a beacon of excellence when it comes to the practice of animal husbandry and promoting responsible pet ownership. We receive our puppies from only the most caring, responsible breeders in the country. Petland wants to raise the bar when it comes to taking care of not only our little puppies, but the parents they came from. Our Pet Counselors are extremely well-versed in all the different breeds of puppies for sale, what their personalities are like, specific grooming requirements and so much more! We want you to know how to properly care for the little family member you take home! Are you searching for a puppy breed that we don’t have in the store? Just call our managers to see if we have a reputable breeder we could find the perfect puppy from. We can’t always find exactly what your looking for, but we’re certainly willing to try! Even if you decide not to take home a puppy from us, we can give you the knowledge to find one outside of our store. We have important information when it comes to medical records, breeding practices and more!